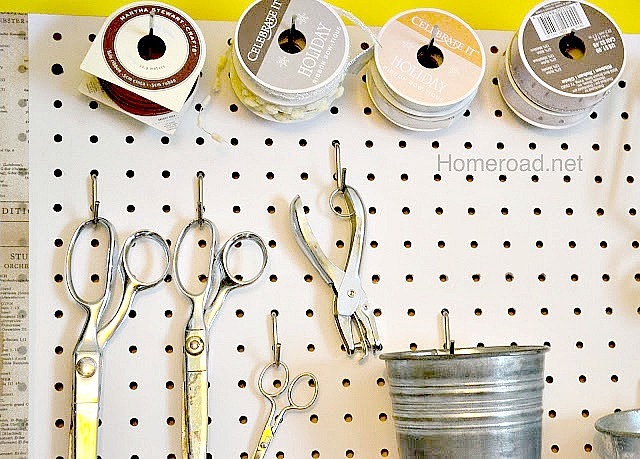 Pegboard organization isn't just for the workshop. Back in the day, my Grandfather had every tool outlined in marker on the pegboard in his shop. He was very careful to put the tools back exactly where they were supposed to be. He was also one of the first guys I knew that had baby food jars hanging from their lids under a shelf. They were filled with nails, screws and bolts. I remember thinking how great all that organization was! 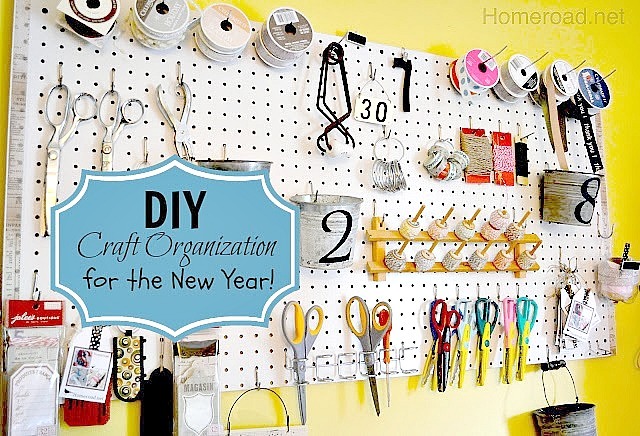 I do like my organizers... especially in the craft room. They make me feel less stressed. I love seeing exactly what I have. It's so easy just to grab something I need without rummaging through bins. This was an old thread holder that I cut down to 2 rows. Drilling a hole in the top of each end made it perfect to hang on the pegboard hooks. 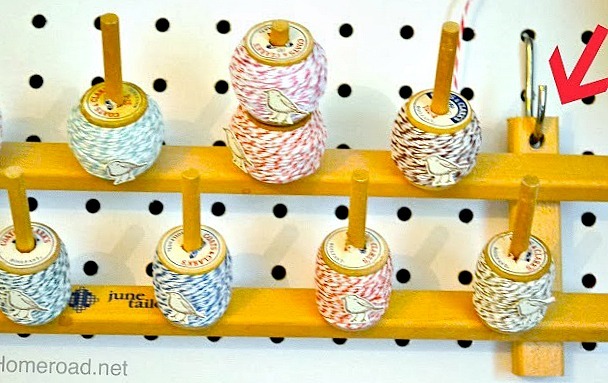 These little spools of Baker's twine love their new home. Packages of tags hang just like in the store for easy access. 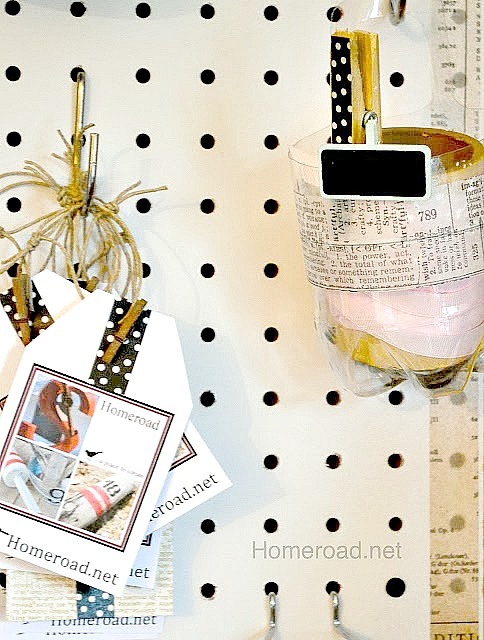 Drilling a hole in the back of the buckets made them easy to hang on hooks. 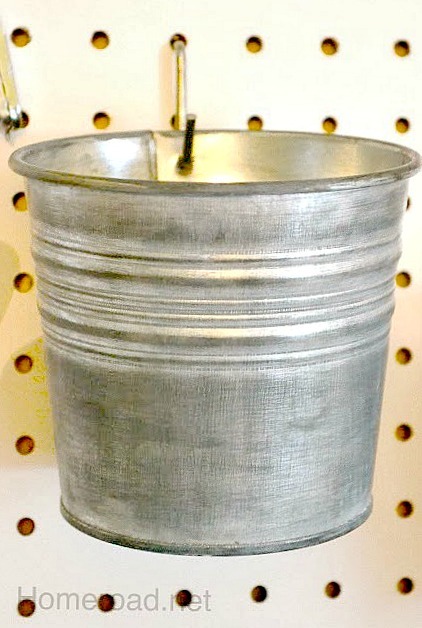 In case you missed it, you can go here for instructions on antiquing cheap shiny buckets for more of a vintage look. 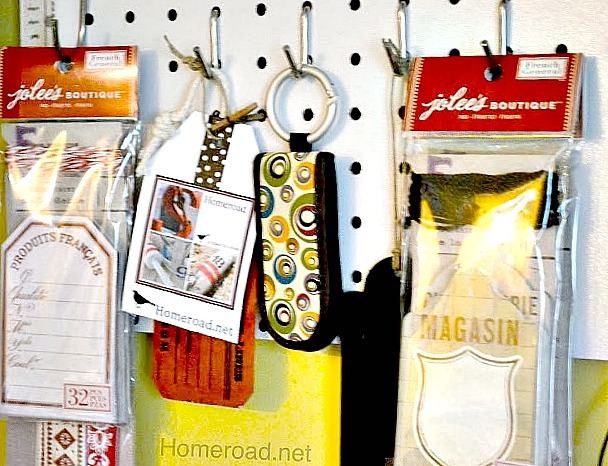 I'm hanging the ribbon on long peg hooks for easy access. Waxed twine, Baker's twine, and wire are wrapped around cardboard pallets for more easy hanging storage. And... I've strategically left room for more craft supplies! This clear cup was once a water bottle. I repurposed it by cutting it out with a loop on the back side, it hangs over a hook showing exactly what is inside. 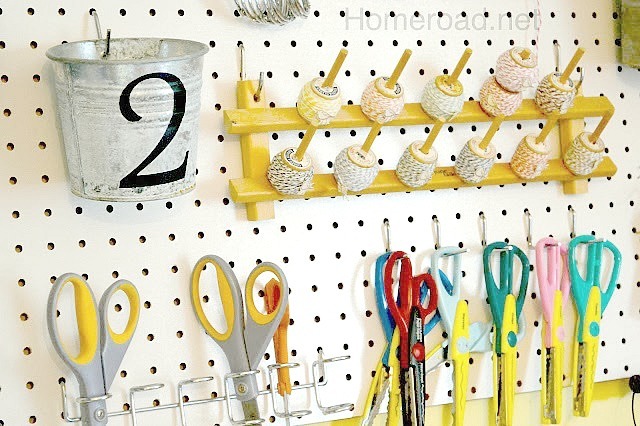 I love pegboard it's a great storage solution for easy visual organizing! I'm including affiliate ads in this post so you can order products and supplies to create your own look. Please click on the bold text for the links. It looks great, but I can't help but feel even if I did that AND outlined it that my family would still mess my space up and put things in the wrong spot. That's how they roll! Great space you have here! Good post. I am a regular visitor of your web site and appreciate you taking the time to maintain the excellent site. I will be a regular visitor for a really long time. 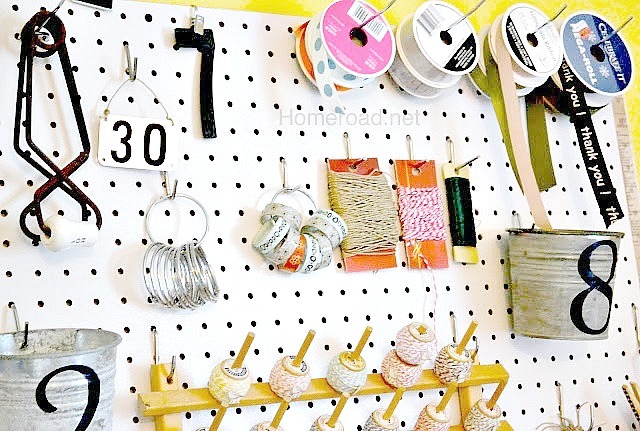 Pegboard always gives that orderly vibe --love it! This is really great. 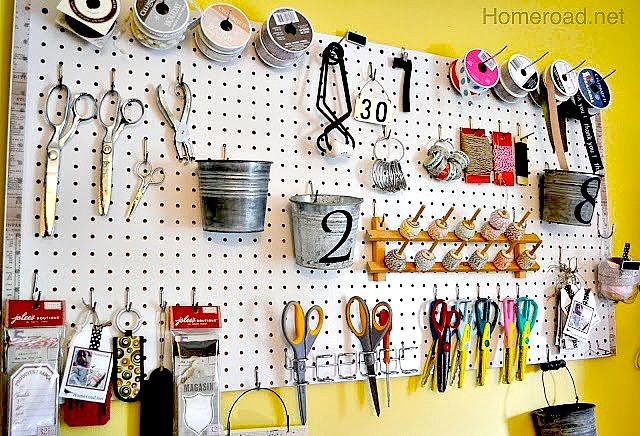 Question about putting up the pegboard -- Did you nail it directly onto the wall? 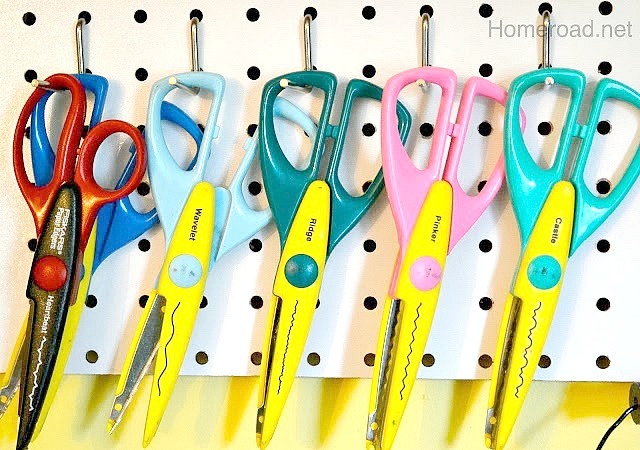 Or did you put anything in between the wall and the pegboard?